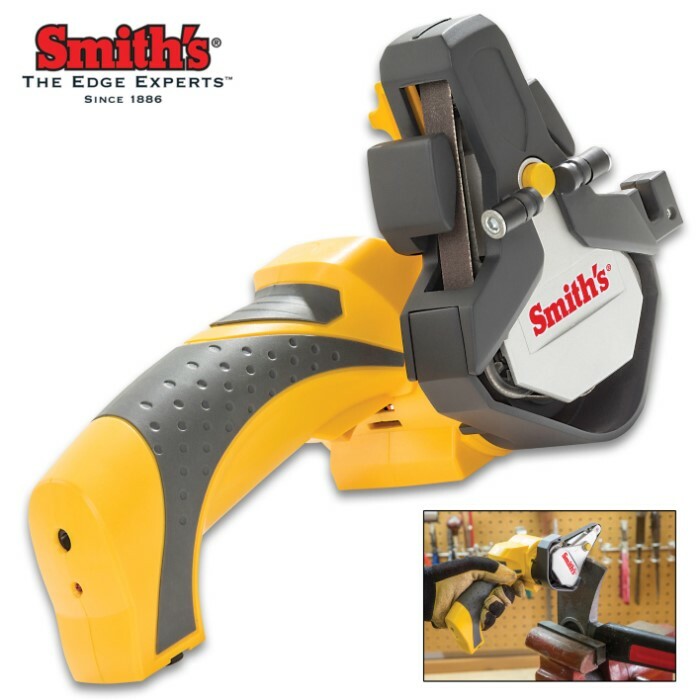 Smith’s Cordless Knife And Tool Sharpener - Adjustable Angle Guides, Ceramic Deburr, Rechargeable Batteries, Three Belts | BUDK.com - Knives & Swords At The Lowest Prices! 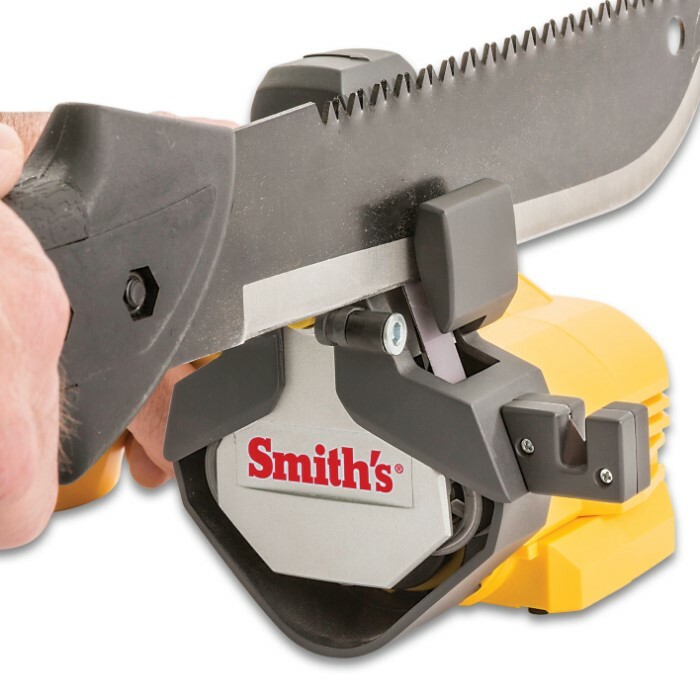 The Smith’s Cordless Knife and Tool Sharpener uses adjustable angle guides at 15, 20, 25 and 30 degrees to sharpen all your knives and tools with one unit. 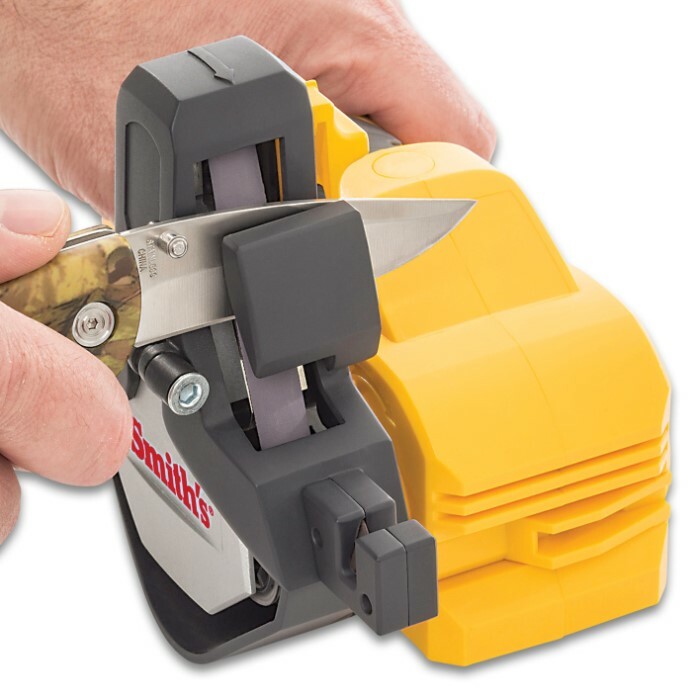 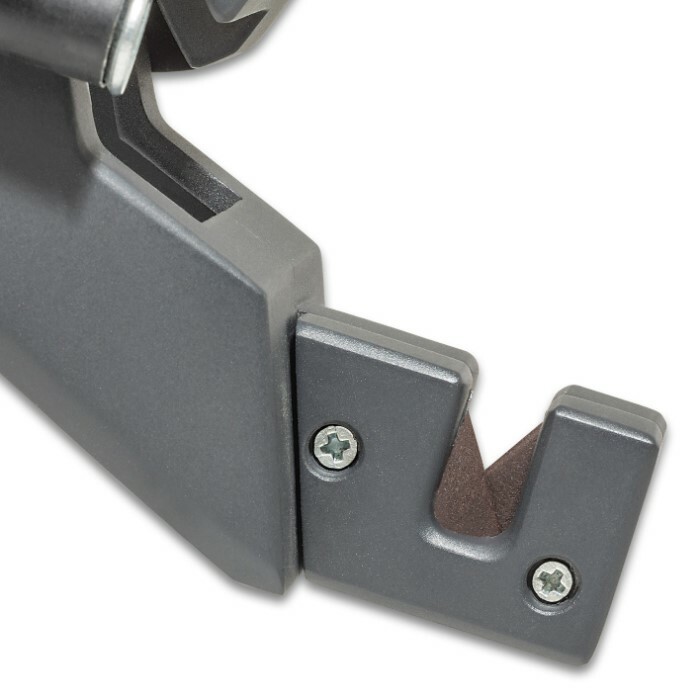 Floating backing plates allow the belt to stay straight and not burn the blade tip and a ceramic deburr slot puts the finishing touches on the edge. 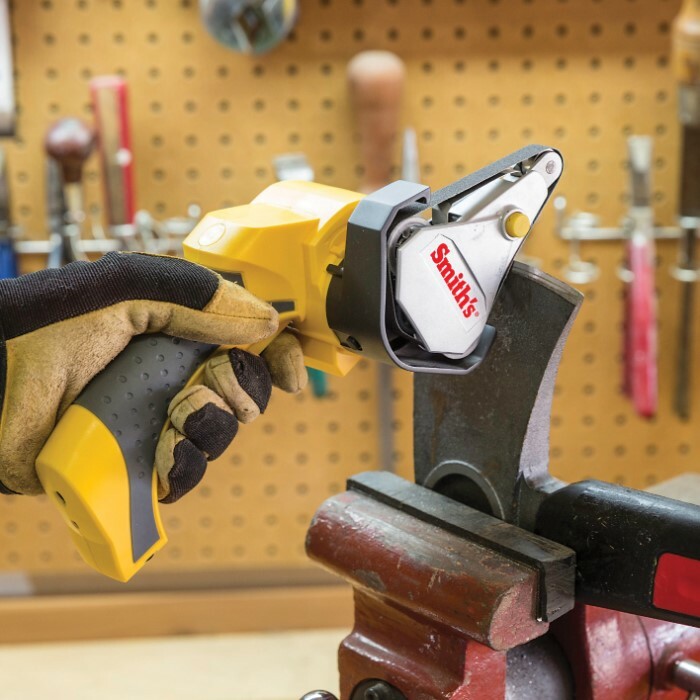 The unit comes with rechargeable lithium ion batteries that provide a continuous runtime of 15 minutes and quick charge technology delivers a full battery charge in under an hour. The Smith’s battery-powered knife sharpener includes three abrasive belts (fine, medium, and coarse).